Celebrate Ascension Day with us! 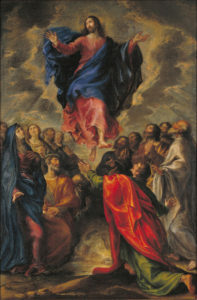 Ascension Day takes place 40 days after Easter and celebrates Christ’s ascension into heaven after his crucifixion and resurrection. This year Ascension Day takes place on Thursday 10th May and we will be celebrating Ascension with a Communion Service at 7pm in All Saints’ Church Westbury. Please join us. All welcome!